ACC provide detailed, personal claim and injury type reports to all 16,000 practicing professionals such as GP’s, Nurses, Chiropractors and Physiotherapists. The information is unique to each provider and displayed in a dashboard format. 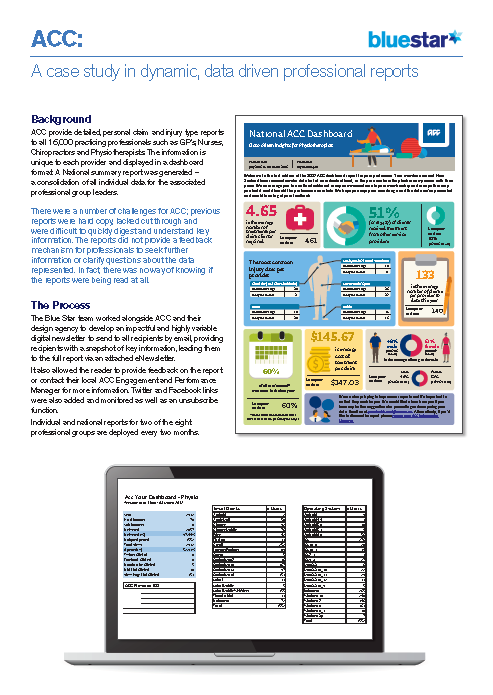 A National summary report was generated – a consolidation of all individual data for the associated professional group leaders.